Craft beer in Colorado is big, and getting bigger. The state remains at the forefront of the craft brewing industry and is among the top states for number of breweries, per capita production and economic impact. More than 10 percent of the nation’s craft breweries can be found in Colorado, which has less than 2 percent of the country’s population. As of August, 309 manufacturing brewery and brew pub licenses had been issued in the state, marking 178 percent growth in the number of breweries since the end of the recession in 2009. By 2014, craft brewers had reached 11 percent volume of the total U.S. beer market, up from 7.8 percent the previous year. 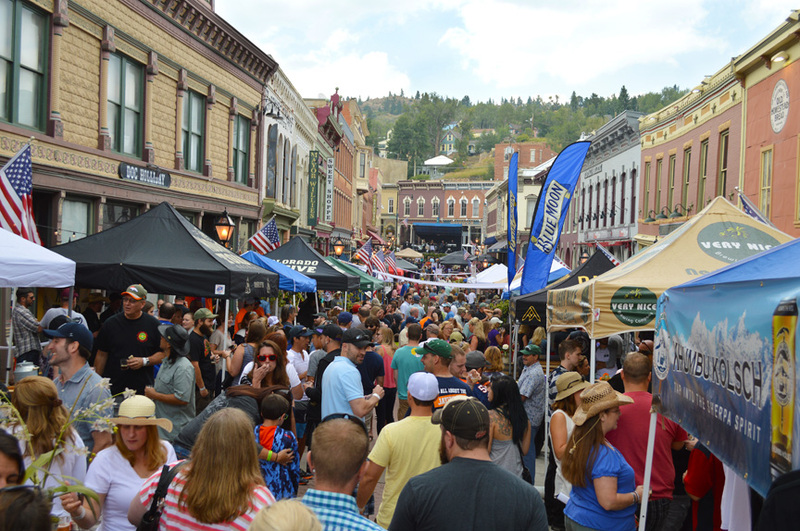 The craft brewing revolution has not left the smaller mountain towns behind, as other social trends tend to do. Idaho Springs (Tommyknocker), Central City (Dostal Alley), Rollinsville (Peak to Peak), Nederland (Wolf Tongue), Lyons (Oskar Blues) and Estes Park (Estes PArk Brewery) all had established brewing operations early in the first wave of craft brewing in Colorado. Most remain. Local beer festivals are bigger and more well attended than ever, liquor store beer tastings and educational events are more prevalent and craft beers are finding their way onto restaurant and bar drink menus where major-label brews have dominated forever. In a sign that a taste for craft beer is reaching further into the mainstream, even Black Hawk casinos are finding the need to accommodate their clientele by offering good brews. The craft brewing industry in Colorado has matured since the first micro-breweries and brew pubs opened in the ’80s and ’90s and literally hundreds more have since entered the game. It’s difficult to keep up, but the abundance provides a heaven-sent selection to those who enjoy beer with some flavor. A greater acceptance of craft beers, and their undeniable local economic impact, is also why law-makers are softening on remaining brewing restrictions. Recent changes to laws in Estes Park, for example, have opened the door to small brewing and distilling businesses. The husband and wife team of Lou and Ingrid Bush turned a vacant concrete slab, where the former Park Theater Mall burned down more than five years ago, into a pop-up beer garden earlier this summer. The Barrel, which has become a popular gathering spot on Elkhorn Avenue in the middle of downtown, offers a wide range of Colorado and other U.S. craft beers on 60 rotating taps. In July, the town’s first new brewery since the Estes Park Brewery opened in 1993 began operating in a former gas station. Nick Smith, a Long Island, N.Y. native who lives in Little Valley in Estes Park, opened Lumpy Ridge Brewing with a 15-barrel system that takes up the majority of the building. A small tasting room and new deck accommodate his patrons. Rock Cut Brewing, with a tasting room for 50, opened in late August and will hold an official Grand Opening over Labor Day weekend. 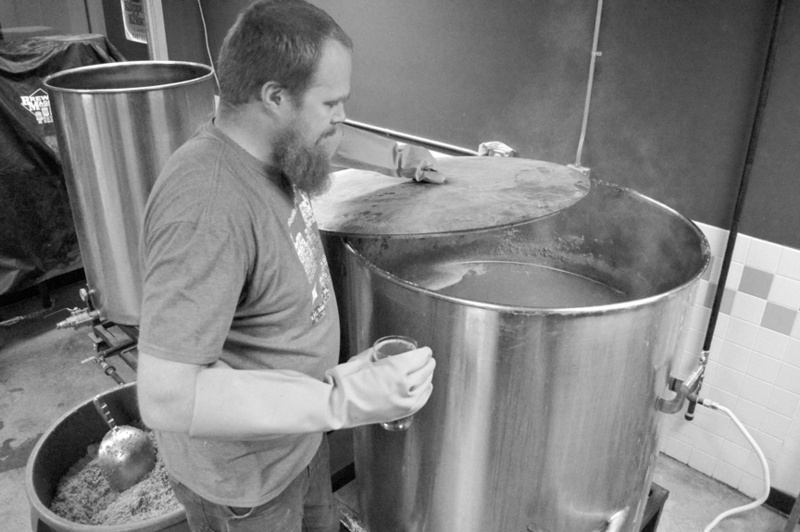 Matthew Heiser and his partner Tracy Goodemote are currently brewing a German amber and English porter, and plan to offer wider range of brews and outdoor seating in the near future. In Idaho Springs, a complete renovation of the Buffalo Restaurant includes the addition of the Westbound & Down Brewing Company, which will be the first brewery in town since Tommyknocker opened in 1994. The brewery, which will also be serviced by the Buffalo’s new kitchen and a special small-plate menu, will open with a 15-barrel brew system from Oregon, five to six house beers and seating for 90 including 20 seats around a new bar. Very Nice in Nederland has expanded from a half-barrel system to one that’s seven times as big. The brewery is now making 100-gallon batches and still can’t keep up with demand. “It’s a good problem, “ Green said, “but a problem none-the-less.” They hope to serve more local festivals and bars in the near future. Nederland will also be home to the new Cross Cut Pizzeria and Taphouse by the end of the year. Of course, the area’s long established brewers are continuing to innovate, experiment and improve their beers. There is always something new coming down the line to satisfy most any taste. Despite the good news— Colorado craft brewers recorded total economic benefits of $1.15 billion in 2014—small brewers face many challenges including access to market, cost of raw materials and ingredients and operation in a highly regulated and highly taxed industry. Remember, when you support your local brewery, you are not only consuming something tasty, you’re supporting the community and culture of craft brewing, which helps brewers provide jobs and support local communities. Get out and explore the world of craft beer, no matter what your current thoughts are on the beverage. There are numerous apps, websites and advice columns, not to mention the beer festivals, to point you toward something you’ll like. Even those who have enjoyed craft beer for years will enjoy the many new additions and changes that have come in recent years. Tags: Brewers Association, Craft Beer, Dostal Alley, Estes Park Brewery, Oskar Blues Brewery, Tavern 1929, Tommyknocker Brewery, Very Nice Brewing, Westbound & Down Brewing, Wild Mountain Smokehouse & Brewery. Bookmark the permalink.